when the going gets rough, a photo by find myself a city to live in on Flickr. Let us celebrate both the re-inauguration of President Barack Obama and the birthday of Martin Luther King, Jr.
Let us raise the flag, sing songs, salute our democracy. And let us talk, as we do every four years, about the greatness of our land, our democracy, our uniqueness. 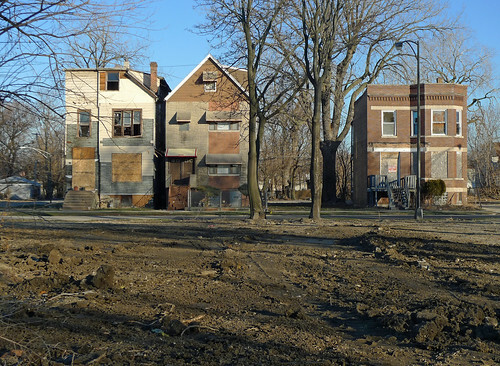 Photograph of the Englewood district of Chicago, 2013 by Curtis Locke. Blvds. set off in many towns–and see the real decline in most towns. blocks north, pleasant and clean affluence predominate. Yes let us celebrate this great and momentous day that honors two great Americans.